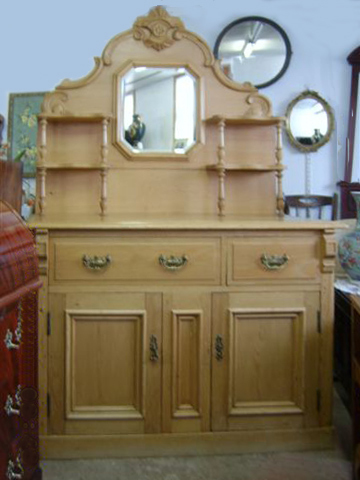 Traditional Scottish Pine Dresser c 1880 with 2 drawers and 2 cupboard doors. 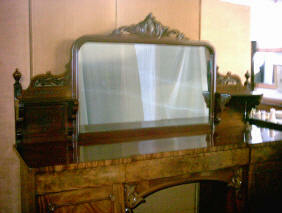 Motive complete on the top and set off with small mirror and shelves on the back with turned upright supports. 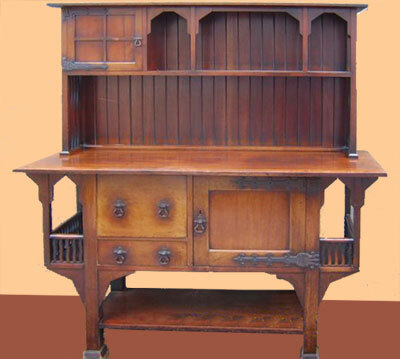 Shapland and Petters Dresser c.1901 towards Arts and Crafts with unusual galleries and strap door hinges attributed to the designer George Jack. 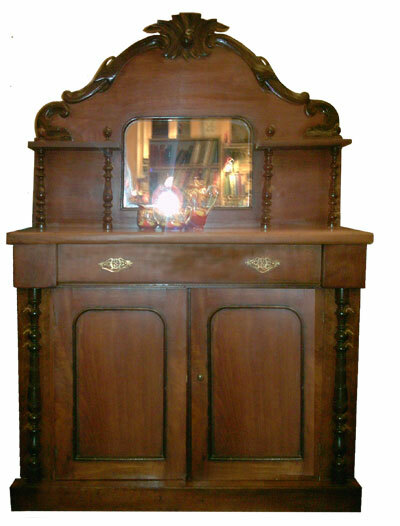 Plate and Rack Dresser from the Arts and Crafts period circa 1906. 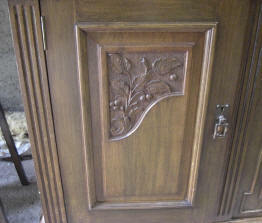 This style is attributed to Ambrose Heal jnr of Heal & Co Furniture manufacturer. 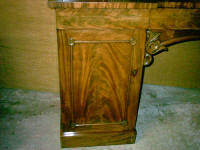 It has good clean lines and is well designed and constructed. 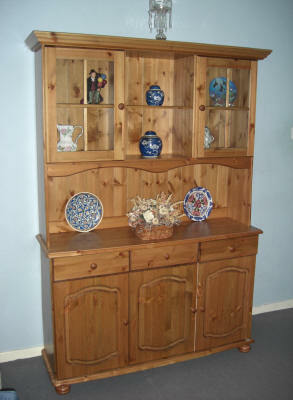 The wood can be finished to suit your requirements. Height of base unit 38ins x W 48ins x D 18ins. 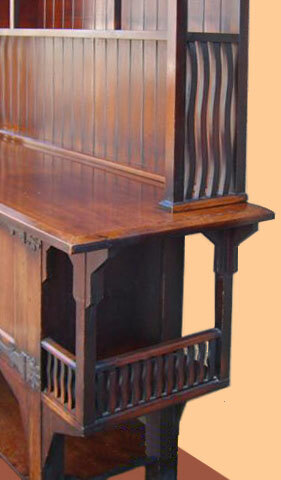 There is a matching dining table. 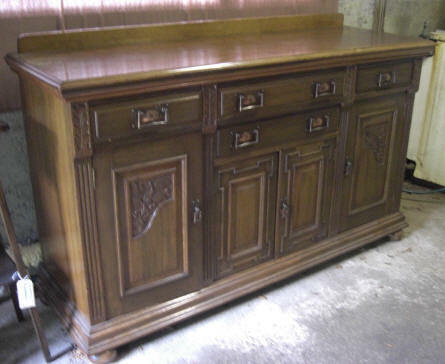 At Pitmedden Furniture Workshop our stock of dressers is constantly changing and it is not possible to show all available items. 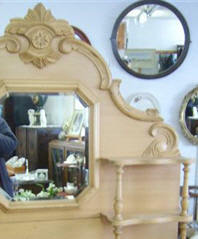 The photographs are examples of dressers which we have in stock or which we have recently sold.